I do not want to write this. This is too emotional a subject for me. The title itself makes me go mushy. And you do not write, when you know you are going to be bias, when you know your emotions will win over your logical approach. Yet I do, for the simple reason that this the only way I can pour my heart out. An exhibition match became worth a celebration when it was confirmed that India’s Mr. Dependable (I like this name. It complements the mannerly, unblemished schoolboy that you have always been) will be walking out to take guard once again at the #3 slot. This game out of nowhere equals a pilgrimage for your fans, Dravidians, as we like to call ourselves. After having withstood your ODI and Test retirement, one odd goodbye isn’t much of a thing. But the fact that this might be your last game ever, sends tingles down the rachis. Now more than the exuberance of seeing you bat once again, there’s some off-base fear that grips me. The fear of you not finding your form, again. The fear of what your final scores will be. The fear of exodusing amidst the nostalgic concert halls of the Mecca of Cricket, as you turn up. The fear of standing misty-eyed, as you cosset every blade of the grass on the field. The fear of misplacing my nonage once again, as you stop the ticking clock and vamoose into the beguiling alcoves of athanasia. So how do I groom for such an exploit, emotionally? Even if it’s plainly as a rubbernecker. There’s a lot I want to re-live, a lot I wish to re-visit. I want to relive the homicidal bounce of Sabina Park where wickets felt like nine pins, and you scalloped two ebullient fifties. I want to relive the India vs. Australia at Nagpur’s green pitch, where Rahul Dravid- the ‘doyen’ decided to take Mohd. Kaif under his wings and unassisted faced the havoc wreaking Glenn McGrath. Besides Headingly, Adelaide, Rawalpindi, Johannesburg and Eden Gardens, I want to relive that sacrosanct look on your face as you walk out in the middle, and then the palatial square cut whilst toothing your lips and pulling off your cheeks. I want to relive the ghoulish touch of normalcy, as you peel off the manteau of éclat and become my bona fide Mahatma. I want to relive that reprieve of the gondola cruising through the squall, till you sculled it. I want to relive my childhood. Nothing more, nothing less. Over the years, I yearned for the world to aggrandize the one I exalted like the subsisting prosopopoeia of a feast day. I wished for the people to intertwine in your glorification, and give you the germane plaudits, as I watched you tassel out into a downright gentleman who pulled off the incumbency of shouldering an entire nation’s expectations with equanimity, without bargaining for an ounce of approbation, even once. You touched my life, even without making me realize that. I tried my darnedest to burlesque you. Right from gluing Britannia stickers on my bat, to standing with parted legs, finger over the lips, with a cap on my head, and to effectuating an upper hand over my emotions. Needless to say, I didn’t do well. I couldn’t sculpture even a fingerbreadth, neither on and nor off the field. 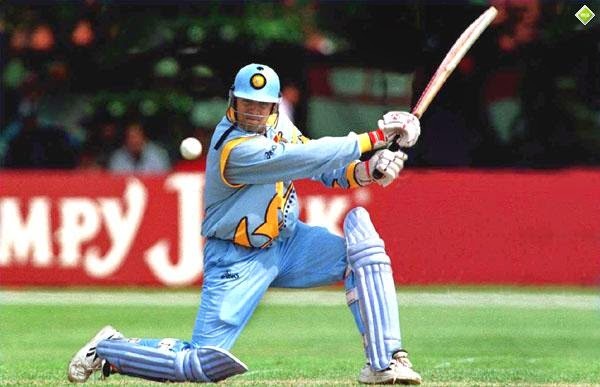 Cricket to me was just one name, Sachin Tendulkar. The most lavish praise I could ever imagine being pampered with was “Wah, yaar! Kya shot maara. 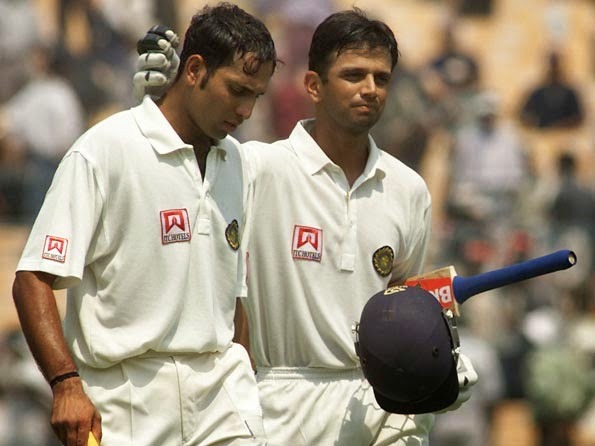 Ekdum Sachin type.” Yet it were you whose cut-outs I kept in my compass box, whose posters I bought at the end of every month from my pocket money, and for whose playing card, I could trade the entire pack. I didn’t know who you were, or what your eminence was, but I knew that you were one of your kind, a lotus in a debauched sluice, the last of the connoisseurs for whom cricket was more of an artistry, and never a rock gig. Your bequest to Indian cricket was more than the 22,000 runs, the ambrosial square cuts and the undaunted pulls and hooks. The greatest lagniappe you gave to all of us, every time you were on the field was of emotional assurance rather than logical reasoning. When you arrived on the scenes, there was a lone warrior who was taking on gobs of opposition, babysitting a nation clobbered with an inferiority complex. You carpentered yourself, counterclaiming the antagonists with a smile. And then you settled for the path of requital, thumping sturdy blows, right in the face of the antagonists. When after being in fever two days prior to the game and being demoted to the no.6 slot, you spoke your heart out, the Australians were floored, I was enamored, and Eden bowed down. As both you and VVS went back, unconquered, to be met by the entire team at the rope, even the cynics felt goosebumps celebrating on them. Borrowing words from Late Tony Grieg, "The greatest comeback since Lazarus" forced Steve Waugh to give up, saying "some of the best batting I have seen." And as always, emotions triumphed over logic. See, I told you! Coming back to the much anticipated MCC vs. ROW, maybe I am inordinately incensed and I do not even know what will be in store for me. I wanted your withdrawal to be a pompous episode. A test match played in front of a full house on all five days, a guard of honor, and a walk back to the pavilion, with your bat held high, amidst an ear-splitting applause and a standing ovation, and finally a victory lap, with all the panoply and adulation the world could ever deluge. I do not know whether three days from today, the bat will go up, and the helmet will be taken off, or whether the woodwork will be hit before I come back to my senses, and you’ll embark on the return journey through the hazel toned gates of history. Life will be back to being a vanilla affair, and there won’t be an emollient to palliate the heartbreak. There won’t be a hassock, compassionate enough, to slacken the soreness. There won’t be an esoteric brew that I could sip, and go back to pink forty winks. Life, whether I walk on the orb of night, win a million dollar game of chance, or dig up a bottomless abyss of chocolate ice-cream, will never be the same. Destitute, with handful of mnemonics calligraphed in an ink that cannot be doused, even after a dip in the Bermuda Triangle. No other man will celebrate Laxman’s century the way you did. No other man in Indian Cricket will bat for ten long hours any soon. No other man would make me cry. You were that kind of a guy, every mother wished to have, tractable and single hearted. You were that kind of a guy, every girl wished to be with, ensorcelling and dapper. You were that kind of a guy, delinquents looked up to, emboldening and com-moving. You were that kind of a guy, the people older to you swooned at, tranquilizing and steadfast. You were that kind of a guy, who had asked a 20 year old someone to fixate on her studies, when she had pressed her suit for espousal. Though, the entire idea was that of skylarking, yet the gesticulation spoke cubic measures about your individuality. You were that kind of a guy, I always wanted to be, despite being a girl, and now how the guy I will want to be with. Your greatness lies not in the runs you scored, the catches you took, the knocks you notched up, or the triumphs you took us to, but in the fact that you never claimed glory, even if we wanted you to. You kept imparting greatness, even without knowing it existed. Every moment spent with you was a liaison to remember. Not even a single bitter pill, a single flash in the pan. You were the best therapy that consigned oblivion to all my ordeals. Your cricketing career was the entirety of my life, since both of us debuted in the same year (a fact I am immensely proud of). Growing up with you was finer than reality, nectarous than reality, closer than reality. Every time you nauseated the bowlers, playing the waiting game, I waited with you, enduringly. Every time you took blows on your body, I nicked myself, earnestly. Every time your bat went up in the air, I threw my arms, gleefully. Every time you walked back to the pavilion, I moseyed alongside, spiritlessly. 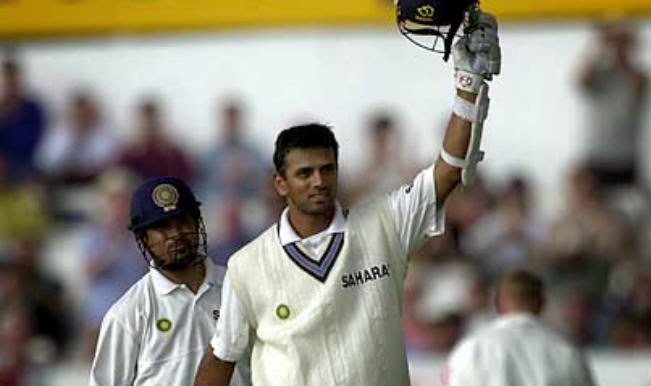 And just for the record, I haven’t yet had enough of you, Rahul Sharad Dravid!